Updated March 25, 2018, at 5 p.m. PT: The countdown to Prince Harry and Meghan Markle’s royal wedding is officially on, with less than two months until the big day. Naturally, interest surrounding the highly anticipated nuptials continues to grow — especially where the guest list is concerned. Although the May 19 ceremony will reportedly be more intimate than Prince William and Kate Middleton’s, it seems increasingly likely that at least a few famous faces from Hollywood scored an invitation. Of the 600 official guests who received invitations, Entertainment Tonight speculates that several of Harry and Markle’s celebrity friends made the cut. Since the Spice Girls’ Mel B. already hinted at an appearance, the girl band could possibly be attending and performing. In turn, their attendance would likely herald a cameo from soccer king David Beckham (who is married to “Posh Spice,” Victoria). Other potential celebrity attendees include Sir Elton John, Serena Williams, Priyanka Chopra and the cast of Suits — notably Markle’s on-screen love interest, Patrick J. Adams, and his new bride, Pretty Little Liars star Troian Bellisario. Original story, published March 3, 2018: With the big day mere months away, Meghan Markle and Prince Harry are putting the finishing touches on planning for their upcoming nuptials. 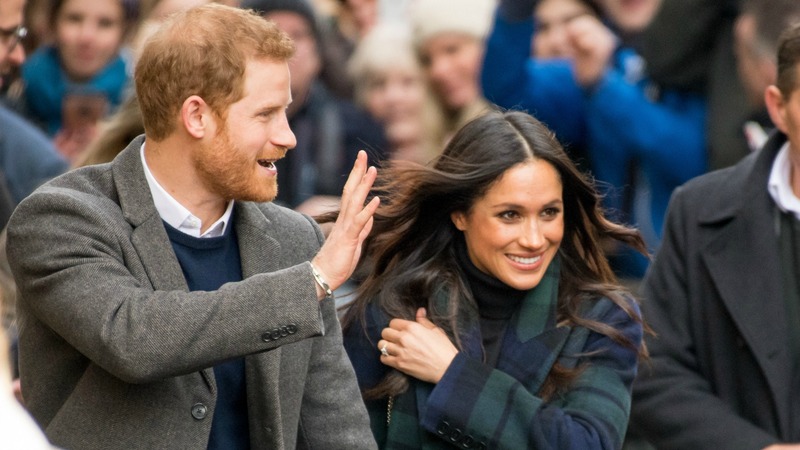 And, according to People, one key component they’ve recently tweaked is the guest list — the philanthropic pair are reportedly inviting 2,500 people from the community to view the royal wedding from special spots on Windsor Castle grounds. More: Will Spice Girls Reunite for Prince Harry & Meghan Markle’s Wedding? The statement and decision to send out the extra invites are a direct reflection of Markle and Prince Harry’s commitment to the community. Arguably the most accessible royals to date, the duo promised when they announced their engagement in November that they would find a way to share their special day with the public. But if you were harboring the fantasy that you might score an invitation to this royal affair, well, don’t get your hopes up. Those 2,500 extra invitations are essentially already spoken for. A portion of the U.K. guests — around 1,200 — will be nominated by the Lord Lieutenants, representatives of the queen. These guests will still have qualities important to Markle and Prince Harry, as they will include young people exemplifying leadership skills and service to their communities. Also in keeping with the couple’s spirit of service will be the roughly 200 guests associated with charities they work with. As you might have guessed, this includes people linked to Prince Harry’s Invictus Games for sick and injured military and veterans. One hundred guests will be of the tiny variety — students selected from the Royal School and St. George’s School near the castle. And rounding out the sizable set of invitations will be over 600 people who live and work on the castle grounds, along with over 500 members of the Royal Household and the Crown Estate. That isn’t the only big news to come out of the royal camp this week, though. On Friday, the palace further announced that the royal family will participate in a special church service with Queen Elizabeth on March 12. The Westminster Abbey service will be a celebration of the Commonwealth, a global network consisting of 53 countries and in excess of 2 billion people. This annual church service is the largest interfaith gathering of its kind in the U.K.
What makes this particular year different, however, is the inclusion of Markle and Prince Harry. The celebration is usually reserved for only the highest-ranking members of the royal family. Markle’s presence is not only unprecedented, it will also mark her very first public appearance with the queen. It looks like this royally cute couple has an action-packed few months ahead of them.